Looking for the coolest Signal the Frog® ever? 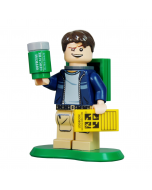 Check out this New Kid on the Brick! This custom designed 2" toy figure comes with a lily pad stand and a trackable brick! Each set comes packaged with all of the pieces to build the custom Signal 2" figure, a custom lily pad stand, and a 2 x 4 trackable brick. 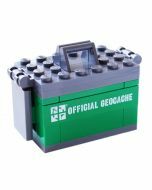 You can send the brick or the whole set traveling to lands throughout the world. 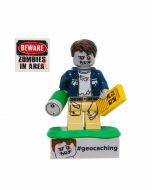 It is trackable at Geocaching.com with a unique icon.